There’s no doubt that Hong Kong is one very stylish city — just take a quick glance around on the street and you’ll see more dapper gentlemen and perfectly put-together fashionistas than you can count. 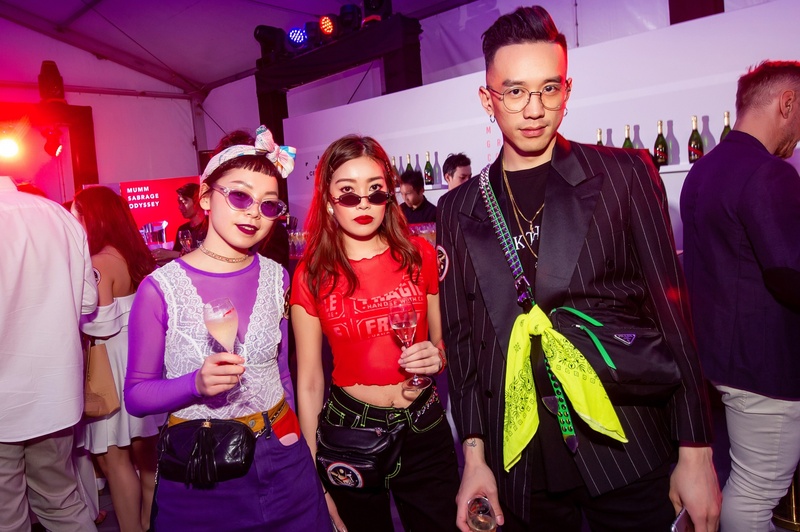 And of course, Hongkongers dress to the nines for the many parties and social functions that fill our diaries every month, catching the spotlight with their one-of-a-kind fashions. That’s why, every month, we select the most stylish ladies and gents in town. Scroll down to find out who made our Best Dressed list for March. Think you’re worthy of being included? 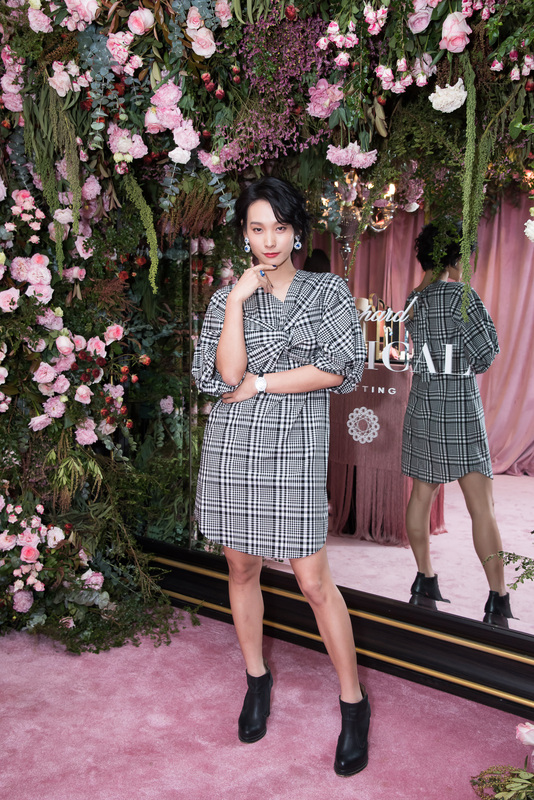 Post your most fashionable looks to Facebook or Instagram and tag #LSABestDressed and @lifestyleasiahk. Whether it’s tangerine, coral or burnt orange — the orange colour, no matter the shade, is one of the trending hues this SS19 season. Elly looked beautiful in this asymmetric dress in a turmeric colour, and we like how she kept it simple by going for a mini Dior Saddle bag in the same hue, before elevating the entire look with a watch from Audemars Piguet and elegant Chanel earrings. 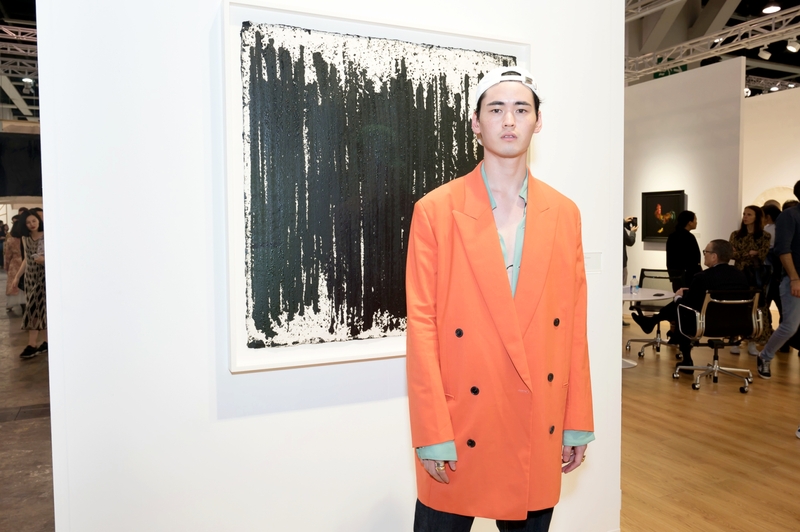 This sartorial-savvy gent outlined the bright orange colour of his outerwear with a pale green shirt underneath, topped with a baseball cap to give the elegant long coat a more casual, relaxed twist. This style star on the right has certainly mastered the art of mixing and matching. We love how he pulled fashion pieces from different genres — the classic tuxedo, casual t-shirt, the utilitarian-inspired nylon bag — into one look and managed to make it work fabulously. Pulling off a head-to-toe look in animal print is no easy task, but this fashionista on the right has managed to make it work brilliantly by choosing a dress in a zebra (monochrome) print so it’s easier to work with, and also one that’s in a thinner, sheer fabric to soften it all up. She also went for a more edgy hair style and make-up, which not only gives the look more character, but also helps divert attention away from the strong print. If you think you can only wear high jewellery with a full-length gown and sky-high stilettos, think again, because Hedwig Tam shows us here just how you can work dazzling gems with an everyday contemporary dress and boots. 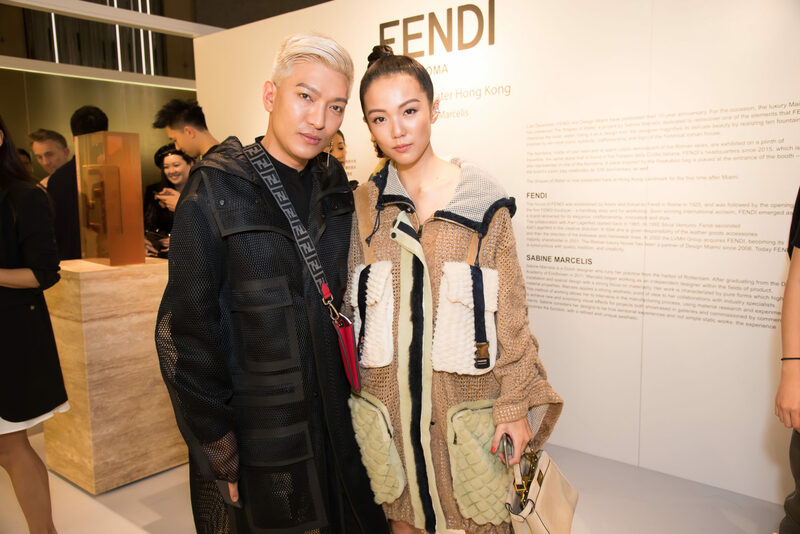 Utilitarian aesthetics are still a hot trend at the moment, and we love Yoyo Cao’s coat/dress version from Fendi, featuring furry elements that have been expertly shaved and carved into a variety of sports-inspired patterns. 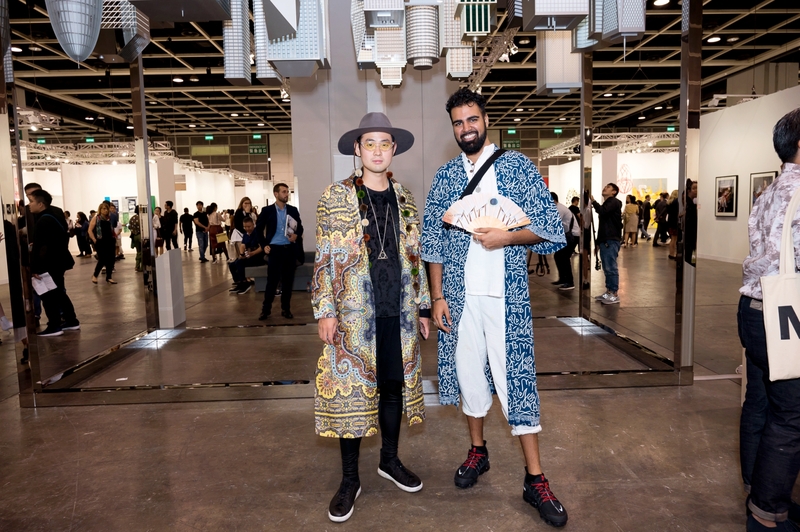 Spotted at Art Basel, these gents have demonstrated the easiest and most effective way to add statement print to your attire: layer it over a monotone look, then accessorise accordingly.